The March meeting of the Wargrave Local History Society began with the AGM, when the past year's activities were reviewed, the committee for the coming year elected, and details of the 2008-9 programme given to members. For the rest of the evening, members were able to see a presentation showing a selection from the 'Bird Collection' of post-cards recording the village over the past hundred years or so. The collection had been added to the Society archives during the past year, and will provide a useful resource for future research. The views shown included some 'familiar' scenes, and others that were far less common - and many have interesting messages on the back. 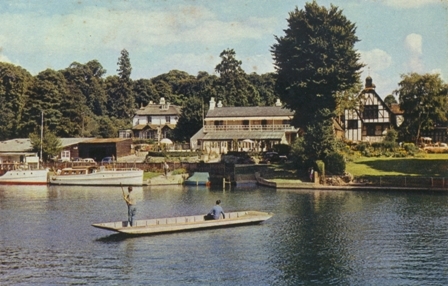 The postal system in the heyday of the postcard was efficient enough to deliver messages that now-a-days might be sent as text - such as "we managed to get our bus at Maidenhead, and got a lift from Hare Hatch!" 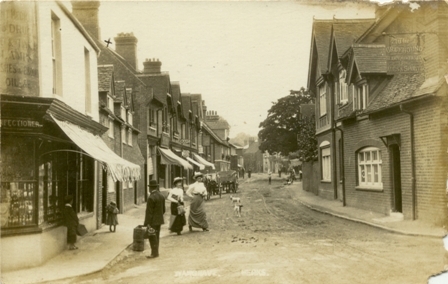 Sequences of others show how an area of the village, such as the church or the High Street, have changed over the century. 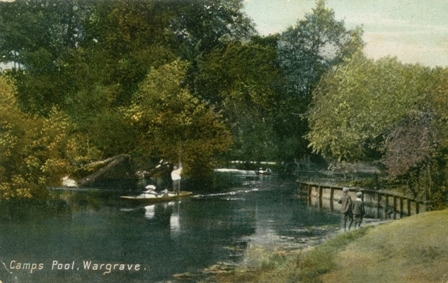 Some were even published by local Wargrave businesses, and many bore a Wargrave postmark, or were addressed to homes in the parish.